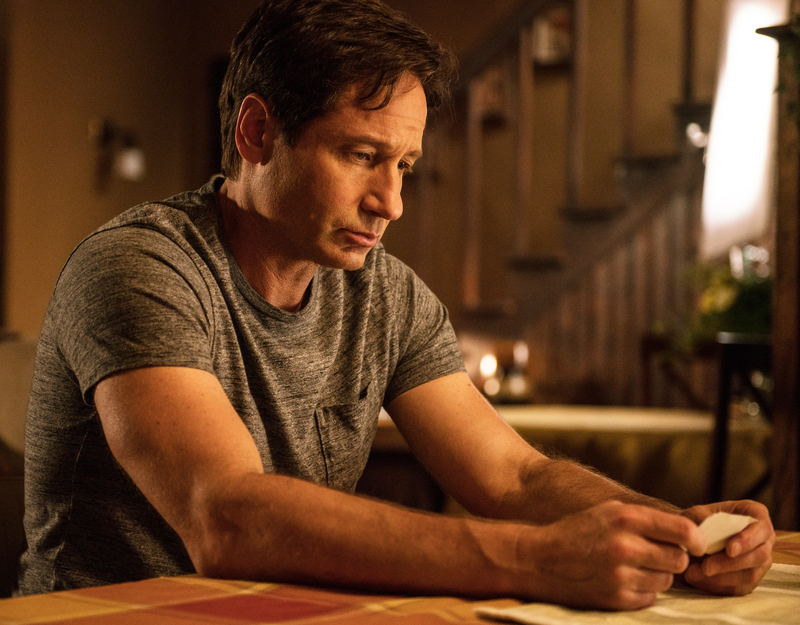 Stakes are raised in "My Struggle," written and directed by Chris Carter, when information comes to light that throws everything Mulder believes on its head. 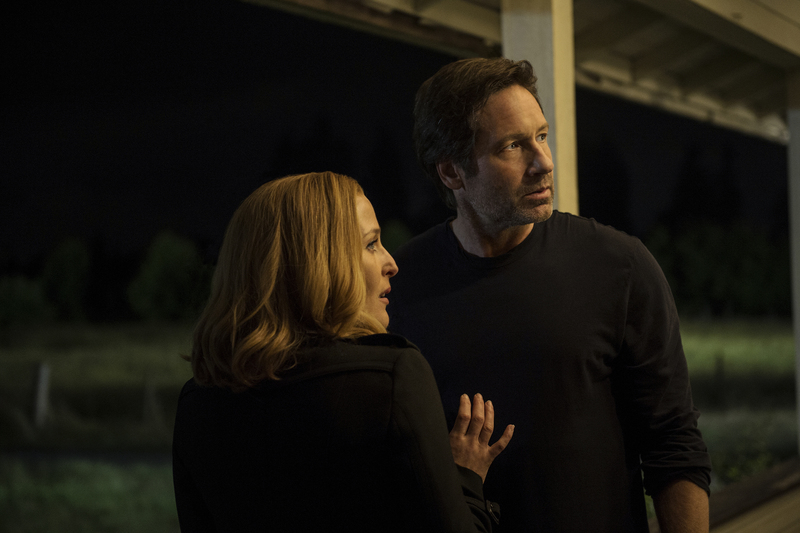 The conspiracy reaches close to home when it's discovered that Scully is even more deeply connected than they ever thought. The episode guest stars Annet Mahendru as Sveta. 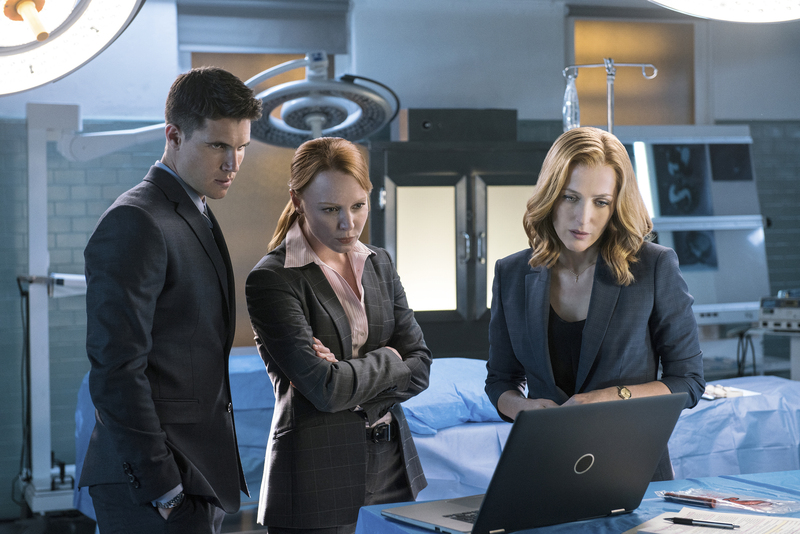 "Founder's Mutation," written and directed by James Wong, is the return to the classic monster-of-the-week format, which brings back the creepy as Mulder and Scully investigate a doctor purporting to study children suffering from horrible genetic conditions. 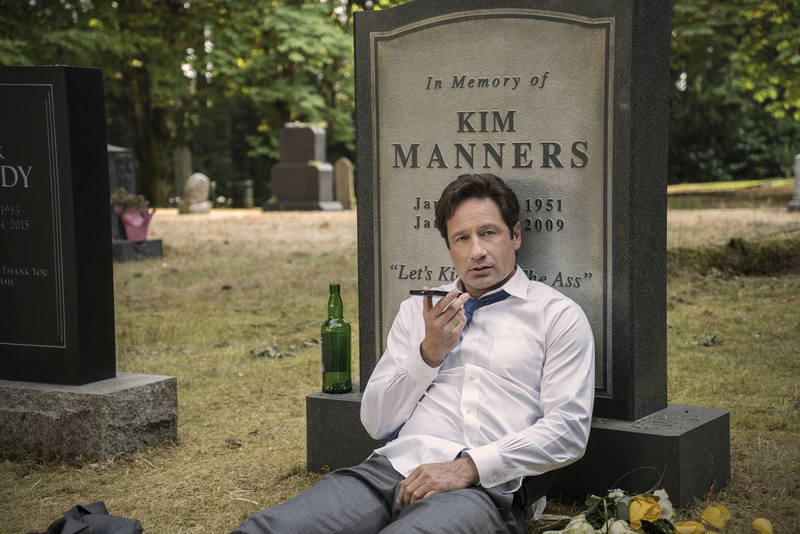 The third episode, "Mulder & Scully Meet the Were-Monster," written and directed by Darin Morgan, is another monster-of-the-week, but of the comedic tongue-in-cheek kind that the series (and Morgan) was always so great at. In the episode, the agents investigate sightings of a were-lizard. The episode guest stars Rhys Darby and Kumail Nanjiani. Alex Diakun, Tyler Labine, and Nicole Parker, who fans of the show will recognize, also make an appearance. In "Home Again," written and directed by Glen Morgan, the agents investigate strange murders that seem impossible for a human to have committed on those who may have wronged the homeless in the city. In the penultimate episode, "Babylon," written and directed by Chris Carter, there is a terrorist attack on an art gallery. The agents discover that there are more attacks planned, and the only person who may have answers is one of the bombers, who's in a vegetative state. They get help from agents who bear a striking resemblance to themselves in their earlier days at the FBI. Sheila Larken reprises her role as Margaret Scully and the Lone Gunmen return. 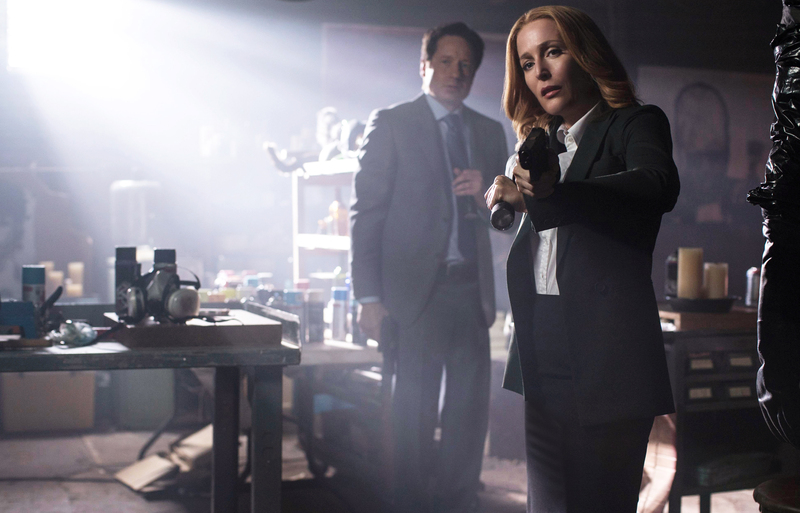 The final episode, "My Struggle II," written and directed by Chris Carter (story also by Dr. Anne Simon and Dr. Margaret Fearon), continues the mythology of the premiere. The story picks up six weeks after the events of part one. 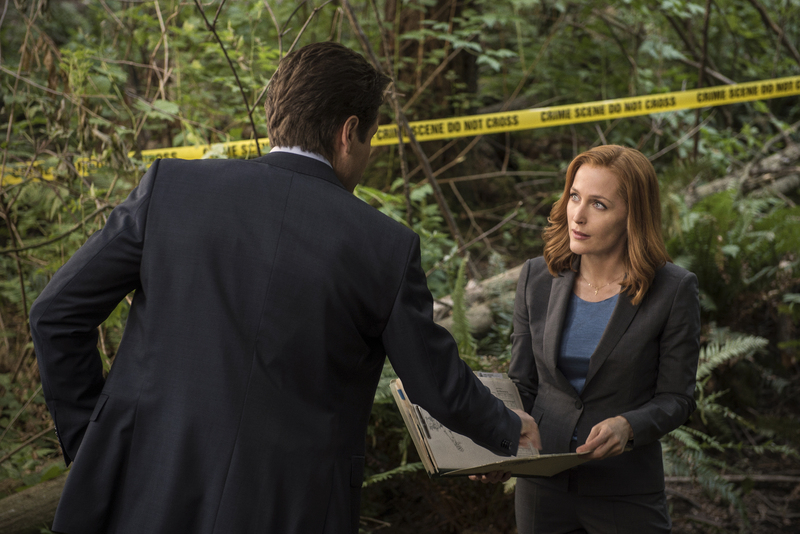 Mulder goes missing with signs of a struggle as Scully attempts to deal with the outbreak of a global contagion and find a vaccine, which may be closer than she thinks. Annabeth Gish returns as Special Agent Monica Reyes. The tenth season does a great job of blending pieces of what everyone loved about the original series with modern day stories. Although at first it feels a bit different, as so many years have passed, it's easy to jump right back in. New fans can also watch, as although there is mythology connected to the original series, the event series is a set of stand-alone stories. However, brushing up on the mythology is helpful. I feel the season might have been better paces with more than six episodes, as at least the finale felt a bit rushed, which is really my only negative comment about the event series. It was still a great blend of mythology and monster-of-the-week, and the mythology thread was sprinkled throughout other episodes while dealing with the absence of Mulder and Scully's son, William. 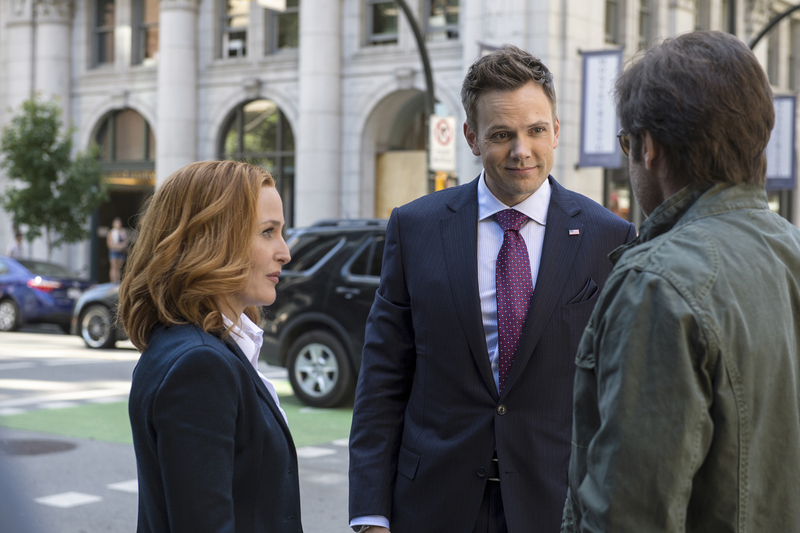 I enjoyed all the episodes, with the monster-of-the-week standout being "Mulder & Scully Meet the Were-Monster," which was Darin Morgan at his best and super funny, peppered with injokes for the die-hard fan, though not at the expense of new audience members. Mulder getting acquainted with the advent of newer technology was also priceless. 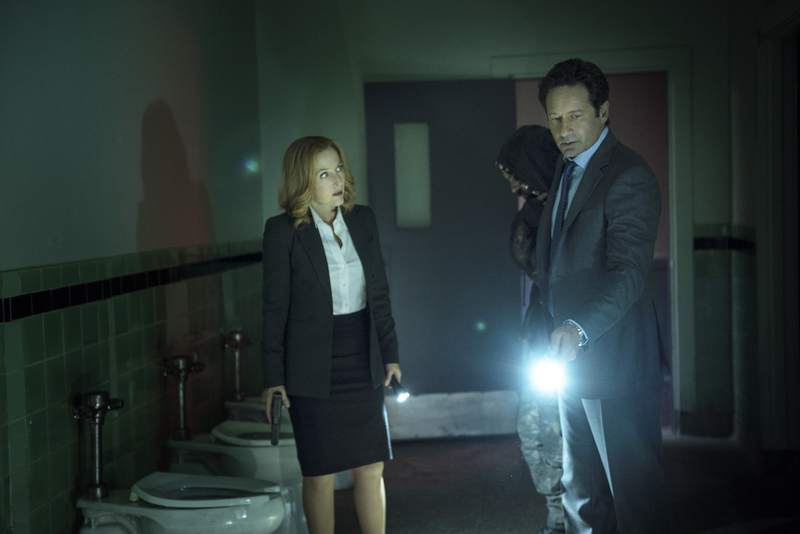 The comedy, however, did not stop there; as always, there are other moments in the darker episodes, especially in "Babylon," which although being an quite dark and slightly odd episode, it was great watching Mulder and Scully interact with their doppelgängers; the series has always been great at poking fun at itself. The episode also features Mulder on a trippy musical journey, which although strange, I also found comical. "Founder's Mutation" was also one of the best and really brought back the creepy vibe that fans have come to expect from the show. Also of note, having Mulder and Scully romantically estranged was a way to bring back some of the tension of the past, and there were still tender moments between the duo. At first I was quite against this, but it did feel natural and leaves it open for what's to come. As expected, the special effects of the season were phenomenal, and of course a great improvement over the already excellent effects of the original series. There are, however, still great iconic moments of flashlights in the dark. Some highlights include the spaceship crash, the genetic mutations, and the body of the suicide bomber. The acting, as always, was superb. 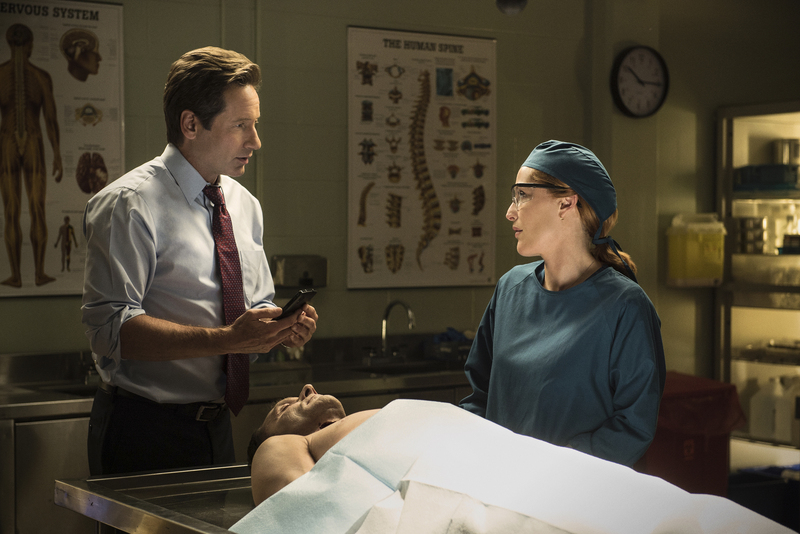 Duchovny and Anderson have always had such great chemistry, and this season was no different. It was also great to see other old cast members reprise their roles, especially Mitch Pileggi. 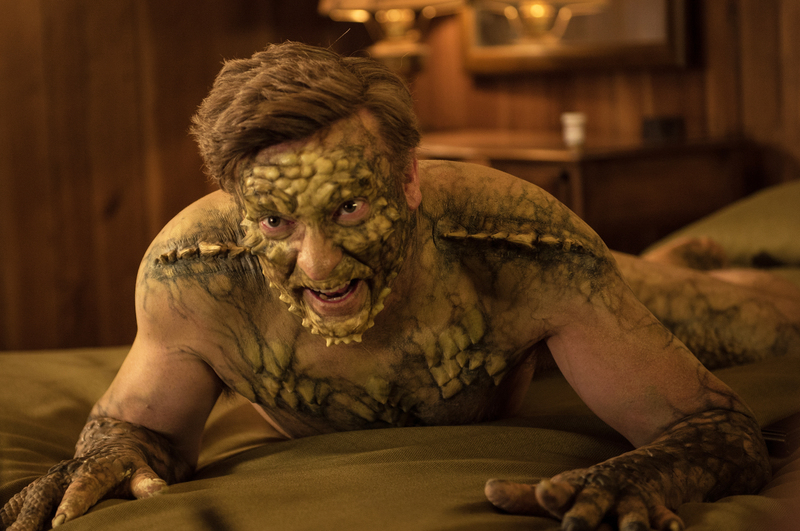 The other standout of the season was Rhys Darby, who constantly had be cracking up in "Mulder & Scully Meet the Were-Monster." While we didn't get to see the William storyline resolved, which was one of the things fans were hoping for, the tenth season brought terrific stories, characters, laughs, and scares, and it was a fantastic reentrance into the series. Both old fans and new will enjoy the season. There was a great fan response when it originally aired on FOX, and it seems likely the series will return at a point in the future. Bonus Features - The features that have multiple parts can all be played as a whole or separate. Audio Commentaries - The cast and crew listed talk about filming and production and give unique insights into the episodes. The commentary for "Mulder & Scully Meet the Were-Monster" I particularly enjoyed, as it's fun hearing the actors and Morgan joke around about the episode. talking to the informant's daughter. It's interesting, but not really necessary. video parody as in the episode, and is quite fun. 43:45 - The Makings of a Struggle - This is a six part behind-the-scenes special about making the season premiere from beginning to premiere date. There are also some interesting facts interspersed throughout them. apartment, shooting UFO footage, and a bit with the actors. Season X - This is a series of thirteen behind-the-scenes pieces that give an in-depth look at the event series. It plays as one long special that's chopped up rather than individual featurettes, as they seem to flow into each other. The titles give a hint to only some of what each one is about, as they sometimes veer off on topic. * A 13-Year Commercial Break - 5:40 - This feature talks about the gap between the original series and the new series. Carter talks about real world events that happened in between. The actors talk about being approached to do a series instead of a film and the idea of a fairly new format of a limited run. There is also some discussion of fan campaigns and the 20 year anniversary panel at Comic-Con. also talk about location scouting. Armstrong from Rancid and using some of his artwork. Piper, Anderson's real-life daughter working in the art department. attempting to throw pencils are the I Want to Believe poster. is also a bit about hiring Kumail Nanjiani for the episode. about Mulder's mushroom dance scene. * Signal to Noise - 5:54 - This one is about "Founder's Mutation" and the idea of people being affected by noise that others can't hear. They talk about only using the noises for small periods of time to not annoy the audience, as some of them on set got Tinnitus. There is also discussion on prosthetics for the children and making it so they did not have to spend much time at all in the makeup chair. There is also a really fun part about Rebecca Wisocky, who plays Jackie Goldman, lobbing apples at the cat, because one time she threw it she broke camera equipment, and another time she hit Anderson in the chest. Lastly they talk about finding a child who could stay under water long enough for them to shoot the pool scene rather than using CGI or a dummy. happen due to scheduling. Annabeth Gish also talks about Reyes' selfish decision. 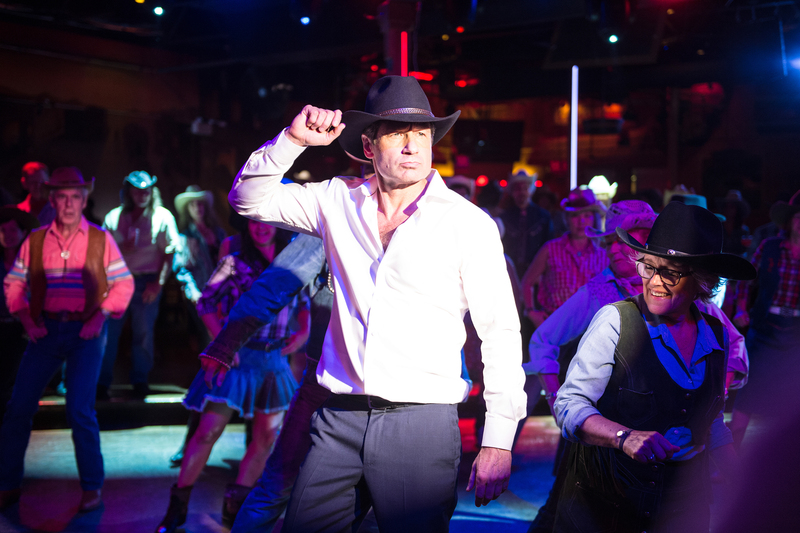 part is about Duchovny's big fight scene in the episode and how it was filmed. Gag Reel - 9:38 - The feature includes the usual mistakes and other funny moments. It's a great collection. Monsters of the Week: A Recap of the Wildest and Scariest from the Original Series - 10:54 - This feature is hosted by Kumail Nanjiani and talks about nine different "monsters," one from each season. The episodes discussed are "Squeeze," "The Host," "Pusher," "Home," "Folie à Deux," "Field Trip," "Orison," "Road Runners," and "Sunshine Days." The X-Files: Green Production - 2:44 - The crew talk about how they were environmentally conscious and used FSC and recycled materials and such where possible. All together they diverted 81% from landfill. Short Film - Grace by Karen Nielsen - 9:36 - This is a short film by the script supervisor about a girl surviving in an apocalypse. The blu-ray set comes with two discs in the normal blue clamshell case. The back of the cover insert tells what is on which discs. The first one contains episodes 1-4 and episode audio commentaries for "Founders Mutation" and "Mulder & Scully Meet the Were-Monster." The second disc contains episodes 5 and 6, as well as commentary for "My Struggle II," and all the other bonus features. Also included is an ad for the IDW comics, and one for the board game on the flip side. There are enough bonus features in the set to keep a die-hard fan satisfied. There are behind-the-scenes features for pretty much every part of the season as well as great information and discussions with the cast and crew. Whether you are a returning fan or new to the series, this set is a fantastic buy. It blends science fiction, action, horror, drama, and comedy in the best way that everyone can enjoy.